That Touch of Mink is very similar to the Rock Hudson/Doris Day romantic comedies of the late 1950’s and early 1960’s. The big difference is that Cary Grant is filling in for Rock Hudson, whom rumor said was not available. A few of the supporting players have been changed as well. Gig Young is in the sidekick role and Audrey Meadows is the wisecracking loyal friend. It was released in 1962 and is the only movie Day and Grant made together. When people refer to Doris Day as "the world's oldest professional virgin," they generally have this film in mind. It isn't that Cathy Timberlake (Day) is above a bit of hanky-panky; it's just that she wants such tangibles such as a marriage license and wedding ring first. Connie Emerson: He's so low that when they bury him, they'll have to dig UP! Philip Shayne: The Four Horsemen now have a riding companion. There's War, Famine, Death, Pestilence, and Miss Timberlake! Cathy Timberlake: And I'm unstable. What kind of mother would I make for our children? Philip Shayne: Well we'll try three or four if that doesn't work out, we'll breed poodles. Cathy Timberlake: How would you feel? Here I am, he practically runs me down and then drives right away! And doesn't have the decency to apologize himself. Furthermore I have a job interview and have to go like this. He doesn't care. Cathy Timberlake: You know what I'd like to do? Roger: Throw the money in his face? Cathy Timberlake: Exactly! I'd like to throw that money right in his face. Cathy Timberlake: Yes, I would. Roger: I've waited seven years for this moment. You come with me! There were no songs associated with this film. "In her autobiography, Doris Day wrote that Cary Grant was very professional and exacting with details, helping her with her wardrobe choices for the film and decorating the library set with his own books from home. However, he was a completely private person, totally reserved, and very distant. Their relationship on this film was amicable but totally devoid of give-and-take." "Rock Hudson had expected to be cast as Philip, but director Delbert Mann wanted Cary Grant. This partially explains the long delay in another film starring Doris with Hudson." "Cary Grant hated the finished film." In the bridal salon they ask the manager for dresses like in old Cary Grant and Doris Day movies, and the manager replies, "Like in Touch of Mink?" The dialogue between Alim's mother and Giles on a London street. "Cary Grant was a big fan of The Honeymooners (1955) and Audrey Meadows in particular, and was responsible for getting her the part of Connie." 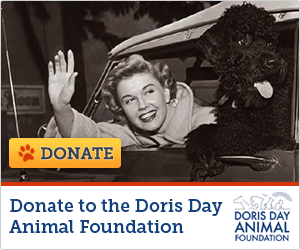 Doris Day was paid $750,00, Cary Grant $600,000.